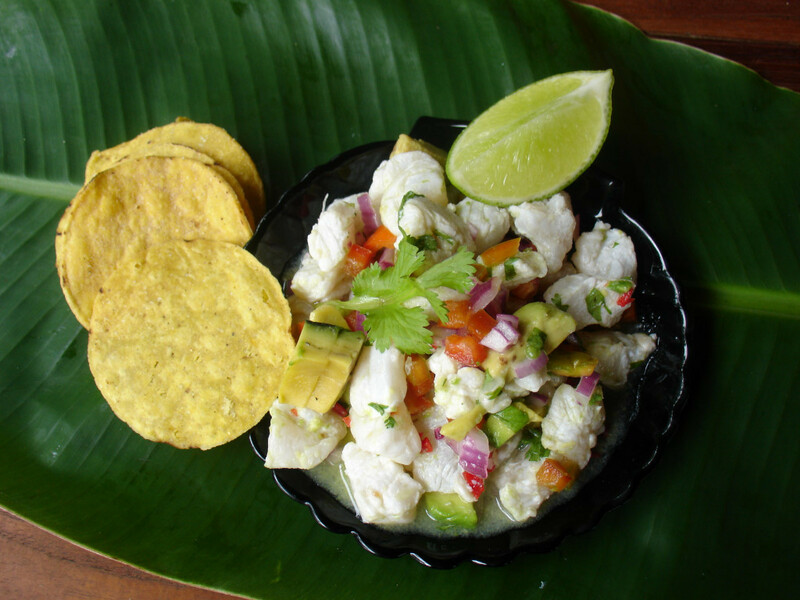 Costa Rican Cuisine - sperlingjos Webseite! “Casado” is the name of the every day meal, just white rice, black beans and a changing variety of chicken, seafood, meat and vegetables, some cabbage salad, always cilantro. 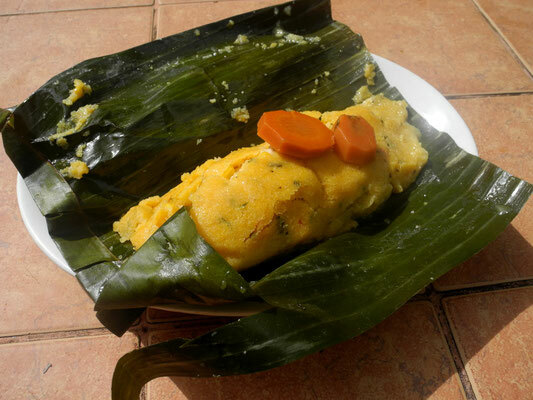 For breakfast, the left overs of rice and beans are mixed, called “Gallo Pinto”and served with eggs and plantains, coffee and some really wonderful juices of all kinds of fruit, “Refrescos naturales,” prepared with milk or just only with ice water. Here the families are still big, many mouth to fill full. 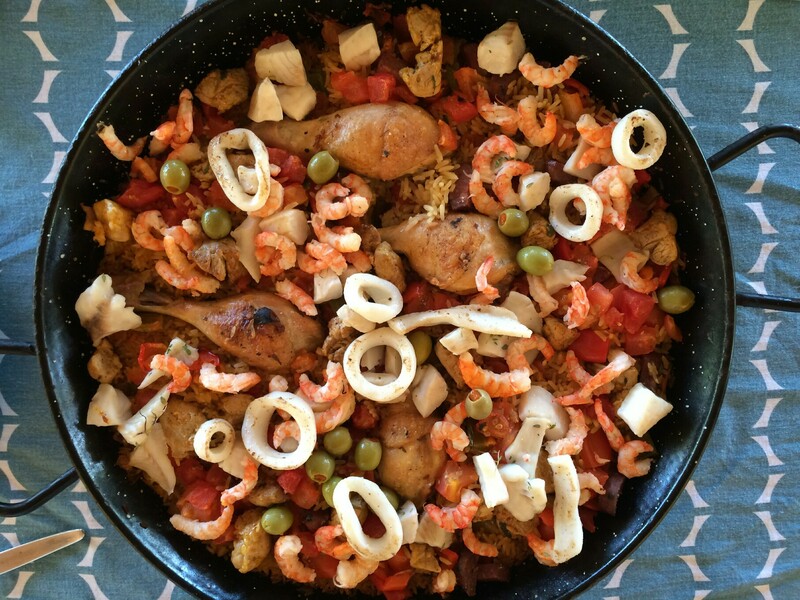 “Arroz con pollo” rice with chicken is popular for kids birthday parties. “Arroz con camarones”, rice with shrimp a feast for special occasions. The most surprising dish for me was ”Ceviche” a perfect appetizer because it tastes incredible well, is refreshing and does not kill the appetite. 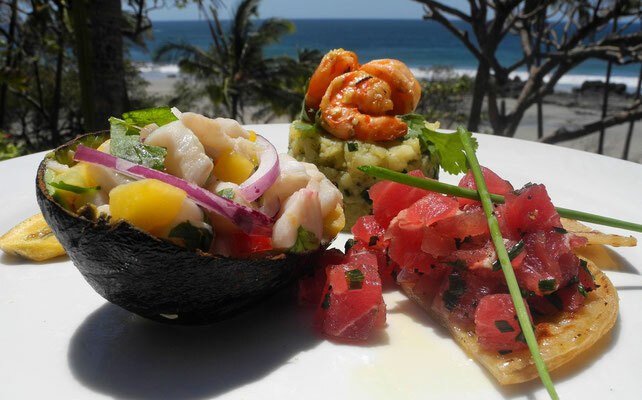 Small cubes of white fish or shrimp, mussels or even lobster get marinated in lemon juice with salt and this combination provokes, that the protein of the fish or seafood change in a similar way as if they were cooked, actually a cold cooking procedure. Usually combined with onion, bell pepper and cilantro, served with chips or crackers. A must! And the basic recipe can be variegated in many ways, with mango or avocado, tomatoes or celery.